THE FOLKLORE AROUND THE BLACK CAT VARIES FROM CULTURE TO CULTURE. The Scotsman believes that a strange black cat arrives at home, which means prosperity. In Celtic mythology, a fairy known as the Cat Sìth takes the form of a black cat. Black cats are also considered good luck in the rest of Britain and Japan. In addition, it is believed that a lady who owns a black cat will have many suitors. In Western history, black cats are often regarded as symbols of evil omens, especially those who are suspected of being the familiars of witches, or actually shape-shifting witches themselves. Most of Europe think black cats are a bad symbol of bad luck, particularly if one walks across the path in front of a person, which is believed to be an omen of misfortune and death. Therefore, black cats are less likely to be adopted than their shelter companions of other fur colors, and they have a higher euthanasia rate. Despite these sad statistics, when you adopt a black cat, you bring home a sweet, loving, playful companion for years to come. 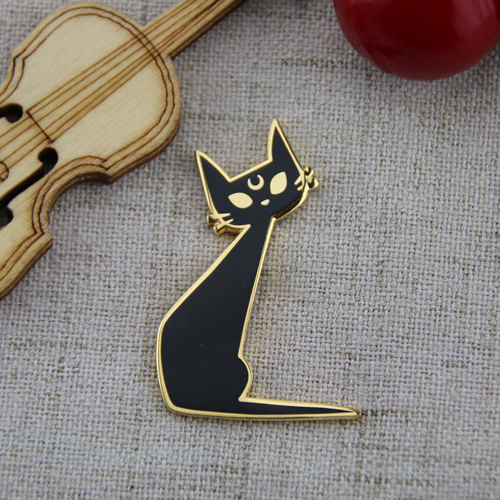 Check out our Custom Lapel Pins for Black Cat, Our mysterious custom lapel pins for Black Cat is the perfect tiny something extra you are looking to add to your costume. 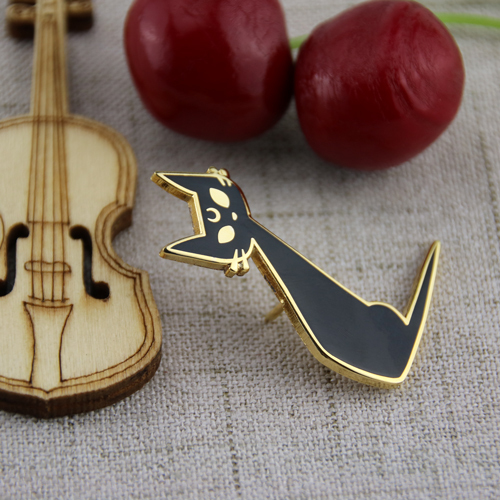 This Custom Lapel Pins for Black Cat is die struck from a fine quality cloisonné process; color filled with enamel, gold plated and includes a smooth-to-the-touch polished finish. Our Custom Lapel Pins for Black Cat includes a rubber cap backing and comes individually poly bagged. Show off your dark side with our cat on your jacket, tote bag, or witch apron! 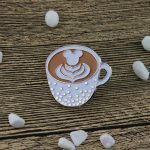 GS-JJ can provide many different lapel pins, including custom hard enamel pins at the lowest price. 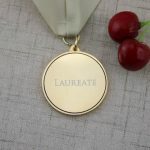 If you want to know more about custom lapel pins, contact www.gs-jj.com.